This man is excited about the SEC’s future. The SEC held its spring meetings last week, and the most noteworthy product of this year’s conclave was arguably the solemn and earnest talk of a potential Division IV in college athletics. Nevertheless, there was also, of course, the requisite chatter promising that the conference will henceforth be good at basketball. This time the SEC means it. Truly. 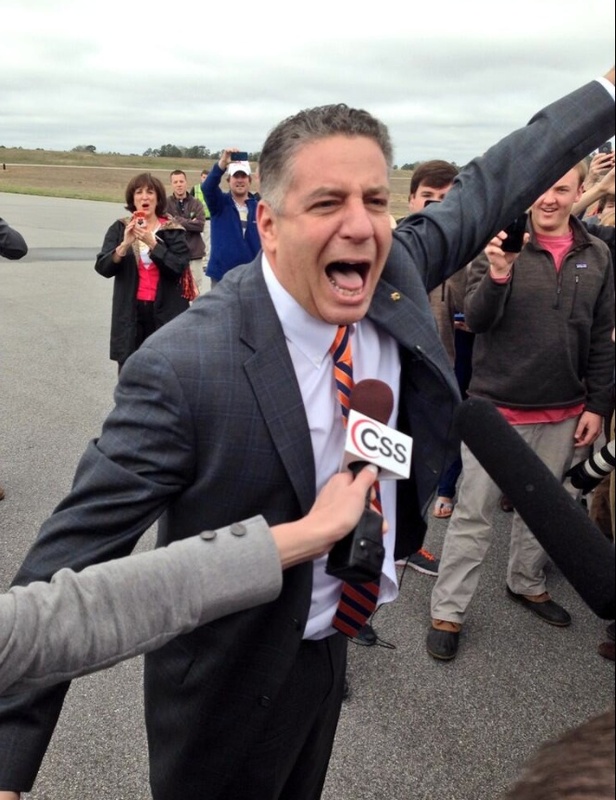 I share Calipari’s preferred measure of conference strength. How many teams you put into the NCAA tournament and, more specifically, where those members are seeded is to my mind the best gauge of just how good your league really is. And if you’ve been reading along for a while you know that I like to measure this quantity with a handy little item I call “seed points.” Envision a sliding scale where a No. 1 seed in the NCAA tournament gets your conference four points, a slot on the 2-line gets you three points, a No. 3 seed fetches you two points, and a No. 4 seed earns you one point. I’ve used this jpeg before, and, well, here it is again…. I declare 30 years a good sample size. In this nifty tour de force of conditional formatting, green means your conference had a really, really good season. By this standard, at least, no conference had a really, really good season in 2013-14 (which is why I’m not sure there really was a proverbial “best conference in the nation” last season). But for our present purposes what’s interesting is that the SEC has never had a really, really good season in the game’s quote-unquote modern era. For the conference to start performing — consistently, across multiple seasons — at a level equivalent to, say, the Big Ten would represent a rather historic departure. Rather historic departures are, to be sure, possible. The aforementioned Big Ten was notably mediocre at basketball for much of the late 90s and early aughts before snapping out of its funk with a vengeance. That being said, rather historic departures are not only possible, they’re also fairly rare. Granted, there’s more to a successful season than simply earning a glitzy seed. Kentucky came within 40 minutes of a national title as a No. 8 seed. Meanwhile Wichita State watched the Sweet 16 sitting at home as a No. 1 seed. Kentucky and Florida will continue to be Kentucky and Florida for the foreseeable future. But improving the league beyond the Wildcats and the Gators may prove to be just as challenging for the SEC as improving the league beyond Duke and North Carolina was for the pre-expansion ACC. This entry was posted in counting things, florid historical references, hoops on June 4, 2014 by johngasaway.